A student of Computer Science department of AIUB has been selected as a National Delegate of Government of People’s Republic of Bangladesh in Commonwealth Heads of Government Meeting (CHOGM) 2018. The meeting will be held in 2nd week of April at Windsor Castle and Buckingham Palace, United Kingdom. 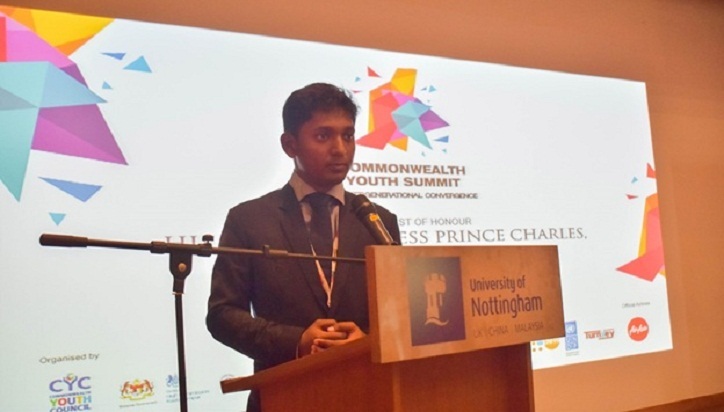 Including the AIUB student Rezwanur Rahman, two delegates have been selected from Bangladesh to represent the country at the international stage and play an active role in the Commonwealth Youth Forum (CYF). Rezwanur will attend the 11th Commonwealth Youth Forum (CYF) 2018 and Commonwealth Youth Council General Assembly, which will be held during CHOGM on 16-18 April 2018 at Queen Elizabeth II Conference Centre, Westminster, London. The honorable Prime Ministers from 52 Commonwealth countries will attend the Commonwealth Heads of Government Meeting 2018. Honorable Prime Minister of Bangladesh, Sheikh Hasina will also attend the meeting. Rezwanur will play a full and active role in the Youth Forum giving a voice to their peers at home, voting on behalf of their country on policy issues which directly affect them, and engaging fully in the democratic process to elect a new Youth Council Executive.